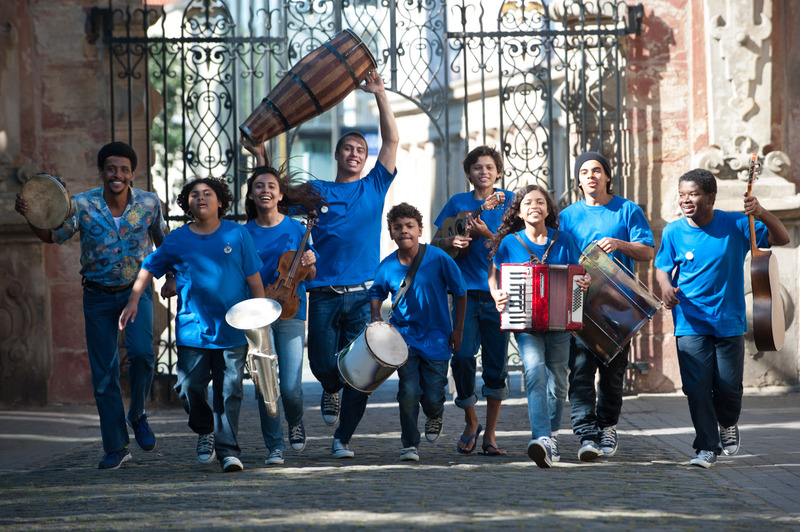 BACH IN BRAZIL is a story about what happens when two outsiders from opposite corners of the world are thrown together: A retired German music teacher and Brazilian kids from a juvenile detention center. Marten Brueckling, a retired music teacher from Germany, has inherited an original sheet of music by Bach’s son. He has to collect the sheet in person in the beautiful Baroque city of Ouro Preto in the heart of Brazil. But Brazil is no place for beginners: Funny circumstances drive him to teach music to the kids of a juvenile prison. Bach’s music and Brazil’s percussion instruments mix perfectly. One of the kids is Fernando, a lovable, abandoned boy who lived on the streets. But Marten discovers that they have more things in common than he thought … And he recovers something else: his joy of living. And he helps a group of young inmates recover theirs too. Ansgar Ahlers is a German director and writer, born in 1975. Active as an assistant director on numerous international productions, his films as a director include: COVERED WITH CHOCOLATE (short) which screened in competition in Berlin, WEDDING DAYDREAM (Friedrich Murnau Short Film Award), TAXI TO DAYDREAM (short, Premio TV Cultura), and his feature debut BACH IN BRAZIL.